"Intentional manhood means leading our family to fulfill their purpose: to glorify God and enjoy Him forever." It is precisely because all has changed that we must make haste and raise up the family altar in the midst of families, lest the feeble tie that still holds back these families should be broken, and they drag both Church and State into ruin. So far as it is in your power, let not these exercises of domestic piety be wanting in spirituality, truth, and life; let them not consist merely in reading certain passages, and repeating certain forms of prayer, in which the heart is not concerned. Voyagers on the same vessel converse of the place to which they are going; and will not you, fellow-travelers to an eternal world, speak together of that world, of the route which leads to it, of your fears and your hopes? 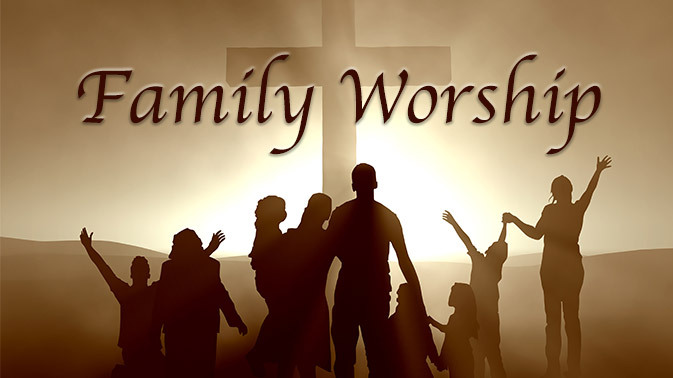 Family worship is the most ancient as well as the holiest of institutions. It is not an innovation against which people are readily prejudiced; it began with the world itself.